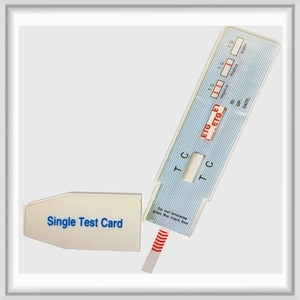 The EtG Alcohol Urine Test kit dip card provides a fast, easy and accurate way to test for the detection of alcohol consumption for up to 80 hours, longer than any other instant result alcohol test on the market. EtG testing has previously only been available through laboratory testing, but our new EtG Urine Test Kit dip cards deliver a lab-like testing procedure wherever you are performing drug tests. You will receive accurate, reliable results in just a few minutes, at a fraction of the cost of lab-based EtG tests. NOTE: In order to prevent any incorrect results, the test results should not be interpreted after 10 minutes. EtG was first described in the early 1950s, but it wasn't until 2001 that it was identified as an alcohol marker by two doctors, Dr. Gregory Skipper (USA) and Dr. Friedrich Wurst (Switzerland) when they did a study of alcoholics in a psychiatric facility in Germany2. Their findings showed how EtG in urine, in comparison with ethanol, was a more sensitive and reliable indicator of both drinking and abstinence.